RPGMMag.azine - Magazine - Site News - Happy Founder's Day! RPGMM Megazine and Chat Upgrades! 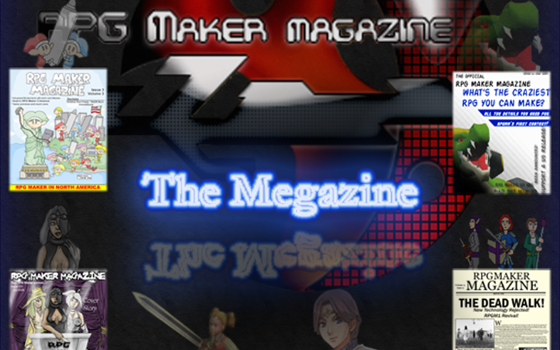 First things first, the RPG Maker Megazine project is finally online for your viewing pleasure! Lantis took a crapload of time compiling all of our issues into a Google Document, so that future generations could see all the work that we put into RPG Maker. The current Megazine is not a complete, polished product. There are some formatting problems and issues, but we wanted to get it released regardless. The other big update is the Chat upgrades, which are continuing. Today's big upgrade are avatars in the chat log and a redesign of the active user list, featuring experience bars! And we're not done yet. Some new chat commands are coming and an interesting new feature that may be neat. Keep an eye out for it! That's it for now. Have a good one! Hey, cool deal! And happy birthday!